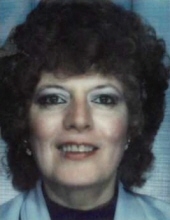 After a brief illness, while surrounded by her family, on Wednesday, February 6, 2019 Patsy passed away at Hamilton General Hospital. She is survived and lovingly remembered by her husband Michael Neill, son Ted Thornton, daughter Kim (Scott) Thornton and grandchildren, Scott, Dalton and Rachel. Survived by her sisters San (Johnny) and Sue Walker. Predeceased by her brothers Bob, Billy, Allen, and sister Sharon. Nothing made Patsy happier than spending time with her family and doing crafts with her granddaughter. "Email Address" would like to share the life celebration of Patricia Margaret "Patsy" Thornton (nee Franks). Click on the "link" to go to share a favorite memory or leave a condolence message for the family.